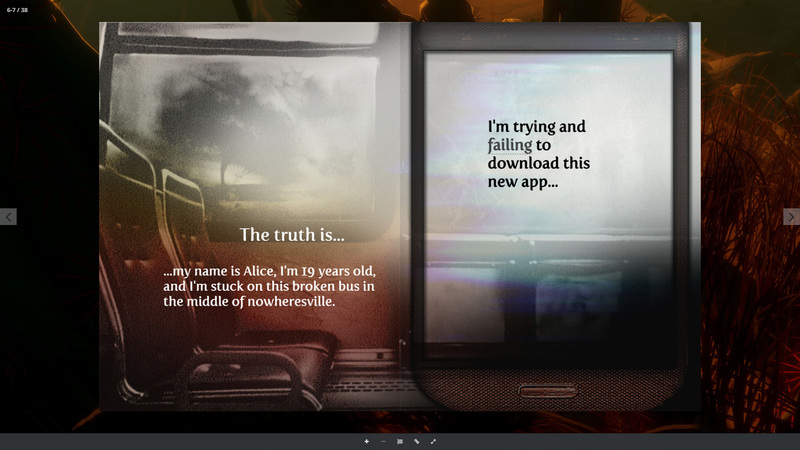 Young Adult interactive Digital Novella. the others trapped on the broken-down bus with her. an accompanying Virtual Reality Prototype. River Film Festival in Winona, Minnesota on February 2017.